Jacques-François-Fromental-Élie Halévy, usually known as Fromental Halévy (French: ; 27 May 1799 – 17 March 1862), was a French composer. He is known today largely for his opera La Juive. Halévy was born in Paris, son of the cantor Élie Halfon Halévy, who was the secretary of the Jewish community of Paris and a writer and teacher of Hebrew, and a French Jewish mother. The name Fromental, by which he was generally known, reflects that he was born on the feast-day of that name, 7 Prairial, in the French Revolutionary calendar, which was still operative at that time. He entered the Conservatoire de Paris at the age of nine or ten (accounts differ), in 1809, becoming a pupil and later protégé of Cherubini. After two second-place attempts, he won the Prix de Rome in 1819: his cantata subject was Herminie. As he had to delay his departure to Rome because of the death of his mother, he was able to accept the first commission that brought him to public attention: a Marche Funèbre et De Profundis en Hébreu for three part choir, tenor and orchestra, which was commissioned by the Consistoire Israélite du Département de la Seine, for a public service in memory of the assassinated duc de Berry, performed on 24 March 1820. Later, his brother Léon recalled that the De Profundis, "infused with religious fervor, created a sensation, and attracted interest to the young laureate of the institute." 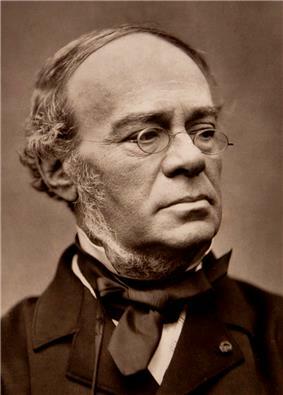 Halévy was chorus master at the Théâtre Italien, while he struggled to get an opera performed. Despite the mediocre reception of L'artisan, at the Opéra-Comique in 1827, Halévy moved on to be chorus master at the Opéra. The same year he became professor of harmony and accompaniment at the Conservatoire de Paris, where he was professor of counterpoint and fugue in 1833 and of composition in 1840. He had many notable students, See: List of music students by teacher: G to J#Fromental Halévy. With his opera La Juive, in 1835, Halévy attained not only his first major triumph, but gave the world a work that was to be one of the cornerstones of the French repertory for a century, with the role of Eléazar one of the great favorites of tenors such as Enrico Caruso. The opera's most famous aria is Eléazar's "Rachel, quand du Seigneur". Its orchestral ritornello is the one quotation from Halévy that Berlioz included in his Treatise on Instrumentation, for its unusual duet for two cors anglais. It is probable however that this aria was inserted only at the request of the great tenor Adolphe Nourrit, who premiered the role and may have suggested the aria's text. La Juive is one of the grandest of grand operas, with major choruses, a spectacular procession in Act I, and impressive celebrations in Act III. It culminates with the heroine plunging into a vat of boiling water in Act V. Mahler admired it greatly, stating: "I am absolutely overwhelmed by this wonderful, majestic work. I regard it as one of the greatest operas ever created". Other admirers included Wagner, who wrote an enthusiastic review of Halévy's grand operas for the German press in 1841 (Wagner never showed towards Halévy the anti-Jewish animus that was so notorious a feature of his writings on Meyerbeer and Mendelssohn). I went on to Halévy’s house, where the heat from his stove was suffocating. His wretched wife has crammed his house with bric-a-brac and old furniture, and this new craze will end by driving him to a lunatic asylum. He has changed and looks much older, like a man who is being dragged on against his will. How can he possibly do serious work in this confusion? His new position at the Academy must take up a great deal of his time, and make it more and more difficult for him to find the peace and quiet he needs for his work. Left that inferno as quickly as possible. The breath of the streets seemed positively delicious. Halévy's cantata Prométhée enchaîné was premiered in 1849 at the Paris Conservatoire, and is generally considered the first mainstream western orchestral composition to use quarter tones. Halévy died in retirement at Geneviève in 1869. After his death she became a famous salonnière. Le shérif (1839), which Hector Berlioz referred to as a "delightful comic opera"
Halévy also wrote for the ballet, provided incidental music for a French version of Aeschylus's Prometheus Bound, and wrote cantatas. Halévy's wife, Léonie, who had experienced serious mental problems during their marriage, underwent a remarkable recovery after his death and became a talented sculptress. (She was 20 years younger than he.) Their daughter Genéviève married the composer Élie-Miriam Delaborde, the son of Charles-Valentin Alkan, Geneviève married a banker with Rothschild connections and became a leading Parisian hostess. Amongst the guests at her soirées was the young Marcel Proust, who used her as one of the models for the Duchesse de Guermantes in his epic In Search of Lost Time. Halévy's brother was the writer and historian Léon Halévy, who wrote an early biography of his brother and was the father of Ludovic Halévy, librettist of many French operas, including Bizet's Carmen and Jacques Offenbach's Orpheus in the Underworld. Léon was also the father, by his mistress Lucinde Paradol, of the politician Lucien-Anatole Prévost-Paradol.